Over the past decade, Cass McCombs has established himself as one of our premier songwriters. It’s a ca- reer that’s twisted and turned, from style to subject, both between records and within them. McCombs has never made two albums that sound the same. His new one, Tip of the Sphere, is particularly unique. 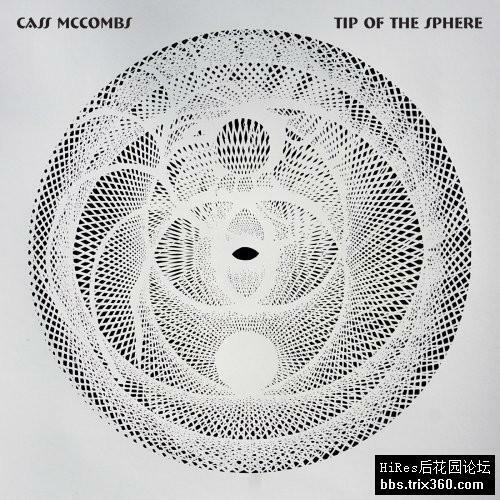 Tip of the Sphere is McCombs’ 9th studio album and while many of his records have been comprised of songs recorded in different studios and pieced togeth- er over time, this one was recorded quickly in one lo- cation with a strong sense of purpose, resulting in his most consistent record to date. This approach brings a raw immediacy to his songs, which are some of his best yet as he finds the perfect balance of compassion and experimentation. The rock songs rock harder, the ballads are more beautiful, the experiments more confident; with the sounds of jazz and latin music creeping in through the back window. This is an artist trying to make sense of it all through a relentless, ever searching creative process.